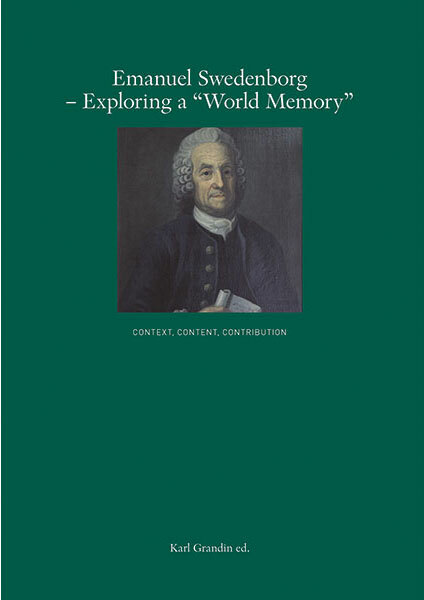 Emanuel Swedenborg—Exploring a “World Memory”: Context, Content, Contribution presents scholarly papers from a symposium hosted by the institution that awards the Nobel Prize, examining Emanuel Swedenborg’s contributions to science, religion, literature, and the visual arts. The papers presented at this symposium, published here for the first time, represent a unique collection of insights into Swedenborg’s lasting impact. Emanuel Swedenborg (1688–1772) has been called a scientist, a seer, a visionary, and a philosopher, and his theological writings have been the inspiration for countless people worldwide. To celebrate the designation by UNESCO of Swedenborg’s archived works as a “world memory,” the Royal Swedish Academy of Sciences organized its international “World Memory” symposium to explore the historical context in which Swedenborg worked and his lasting contributions to world culture. The book is divided into three sections. “Content” describes Swedenborg’s thought, from his use of spheres in his scientific writings to his views on sexuality and marriage to analyses of his theological writings. “Context” explores his times, putting Swedenborg in the context of eighteenth-century philosophy and looking at the organization of the earliest Swedenborgian church. “Contribution” looks at Swedenborg’s influence on philosophy and the arts, from Ralph Waldo Emerson and Czeslaw Milocz to Elizabeth Barrett Browning and William James. Karl Grandin has been the director of the Center for History of Science at the Royal Swedish Academy of Sciences in Stockholm since 2008. Among his recent publications are A Wireless World: One Hundred Years since the Nobel Prize to Guglielmo Marconi, eds. Karl Grandin et al. (Florence University Press, 2012) and Going Digital: Evolutionary and Revolutionary Aspects of Digitization, ed. Karl Grandin (Stockholm, 2011).